The design firm Innauer-Matt Architekten has developed the magnificent Haus Höller, a minimal home located in Alberschwende, Austria. The use of the light wood palette is a delightful and having the material wrap around both the internal and external is also wonderful. The home sits within a mountainside environment and is supported by a structured framework consisting of concrete columns. 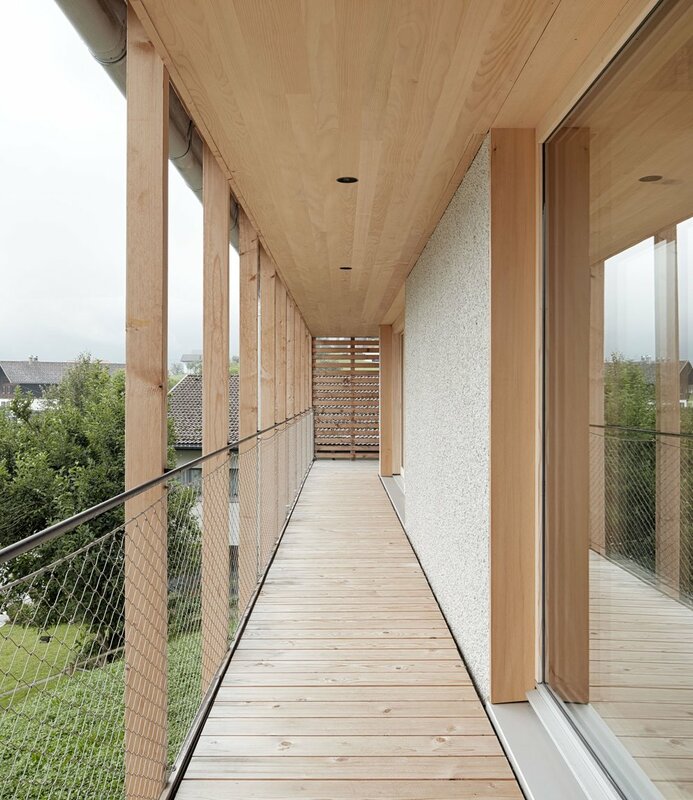 The light is managed through large glazings with wooden beams that also work within the home on a structural basis. The styling and overall feeling of the home is minimalist and that isn't limited to the interior. The design of the home is very clever and doesn't cause offence to the landscape or environment around. This is a home that should be admired.